For Sale – Two Tickets to Double Trouble Play for $120.00 Saturday, April 6, 2019 Original Cost $71.50 per ticket Total of $143.00 If you are interested, please send a message to webmaster@lebaneseinottawa.com so we could connect you with the seller. 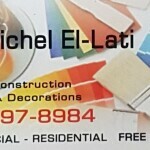 A turnkey successful restaurant business. 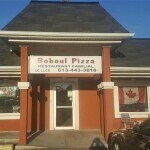 Boboul Pizza & Restaurant, 525 Limoges Road in Limoges, ON (down the road from Calypso Waterpark). We currently serve Canadian/Italian food, has a liquor license, seats 60 people and has a summer patio. If interested, please call Sam at 613-816-3616.